Your report will be written in a narrative format, not a checklist, on the most modern software platform available in the industry. Your report will have many photos (videos are sometimes included too) with descriptions of the problem. Reports are typically sent same-day or within 24 hours of the inspection. 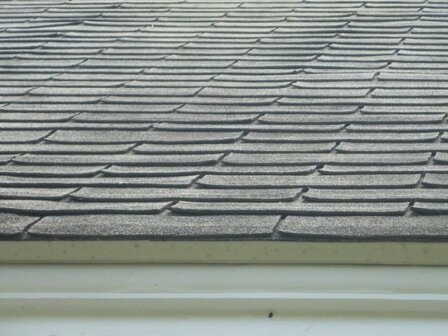 "Inspector noted that the 3 tab asphalt composition shingles on the porch roof were curling at the edges, indicating the material may be near the end of it's life. No leaks were observed at the time of inspection. Recommend you have a licensed contractor evaluate further to determine the scope of repair required." 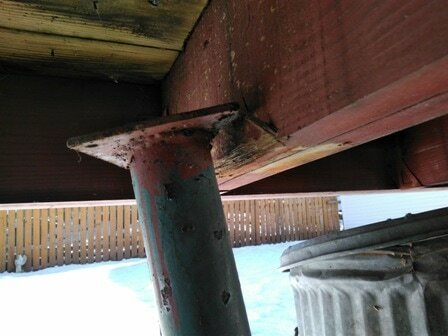 "Rotted metal support post observed under back deck. Proper support posts and footings are critical to keeping your deck safe and level. It appeared some new posts had been added over a period of years, but several older posts are in need of attention immediately. Have a licensed contractor evaluate what is needed to make this structure safe prior to use." "Apparent water stain noted in kitchen. 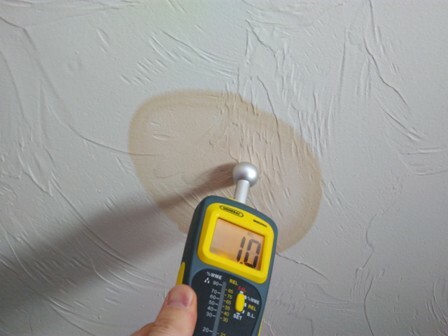 At the time of inspection it was raining outside, and the material tested dry with a moisture meter. No apparent cause for the stain was observed. Inspector noted that the roof had been recently replaced. Recommend you ask the seller if this stain occurred prior to new roof installation." Although the standards of practice don't require us to carry gadgets like this one, I think it helps everyone sleep better if we can collect useful data quickly. The slideshow of screenshots below will give you a feel for the report format as viewed on a smartphone.